Above Lake Tekapo are two four wheel drive journeys following river valleys. These tracks can be difficult in certain times of the year and require a certain level of skill. This is the Macaulay River Track to the Macaulay Hut. Various - 18km to 30km. Facilities - 14 beds, Cooking, Lighting, Mattresses. Macaulay River, Lake Tekapo Area. From the Lilybank road end, ford the Macaulay River and follow the DOC signs for Macaulay Hut. Orange trail markers denote permanent sections of four-wheel track and the best places to cross the river. 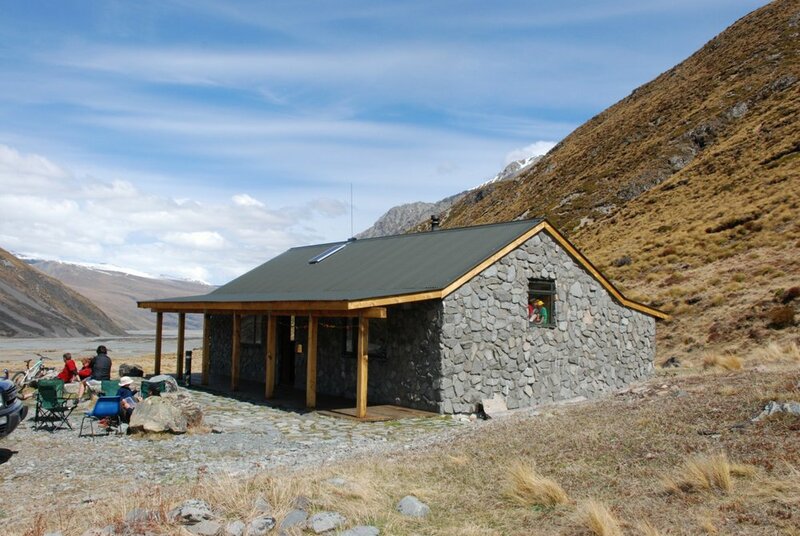 Macaulay Hut is located on the lower Tindill fan and is run by the Mackenzie Alpine Trust. Please end your trip here, as the upper valley beyond the hut has many fragile areas which are easily damaged by vehicles. These tracks involve river crossings so caution and skill are vital. In route descriptions true left or true right denotes the side of the river when facing and looking downstream. Sign up to be the first to know about exclusive offers, news and updates. Only the good stuff. Thanks — You’re in. Catch you soon!